One of my absolute favourite things about film is its ability to completely immerse the viewer in a different time period and all the realities of that society. This ANZAC Day after you’ve baked your ANZAC Bikkies, adorned your shirt with one of those RSA Poppies or perhaps even gotten out of bed early on your public holiday to attend a dawn service – you might feel in need of some viewing that will give you a deeper understanding of the magnitude of why we’re commemorating these events in the first place. Don’t worry though, this is no stuffy WWI movie list, in the consideration of still having something attractive to look at, I’ve selected some ANZAC and WWI centric films for you to check out that still have eye candy factor but will be moving and thought provoking nonetheless. The Wind That Shakes the Barley is directed by socialist realism director Ken Loach (Angel’s Share, Kes, I, Daniel Blake) and stars the amazing, completely divine – Cillian Murphy (28 Days Later, Inception…owner of those eyes?!). The Wind That Shakes the Barley centres on two brothers and their division after the effects of WWI and examines how the fallout of the conflict led to the initiation of the brutal Irish War of Independence (1919 – 1921). If you’re keen for some romance and beautiful North American 1900s vistas then Legends… is the film for you. Anthony Hopkins (Silence of the Lambs, Thor) stars are the patriarch to a trio of brothers, willful young men that are living wild and free. Until their close bond is tested once by love and then again as they look to separate and undertake fighting in Europe. It’s a beautiful film about love, grief and loyalty. 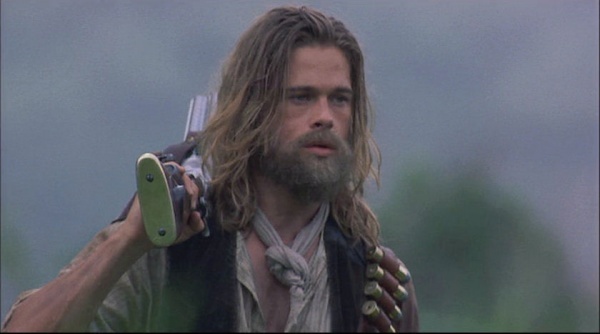 Plus long-haired Brad Pitt is always worth a look. Closer to home, Gallipoli shows a group of young diggers who leave their respective naive outlooks and Aussie environments behind to fight on the front lines of WWI in Gallipoli, creating the ANZAC legacy we know today. A coming-of-age-story that questions where your goals and dreams fit in against the backdrop of global conflict starring Mel Gibson at peak hotness, and directed by master of 90s cinematic Drama Peter Weir – responsible for The Truman Show, Dead Poets Society, Fearless and more. My top pick of flicks to watch this ANZAC Day has to be The Water Diviner. Released Christmas 2014, this action-packed yet historically faithful and moving film got a little lost at the box office among all the Christmassy stuff. Russell Crowe the Russ resurgence is strong post The Nice Guys with Ryan Gosling; so make sure you check out Crowe’s wonderful directorial effort on The Water Diviner first, it’s a real treat and a must-see. Big Russ helms the based-on-a-true-story narrative of a good Dad and farmer from outback Australia travelling to very recent post-WWI Gallipoli to find his three lost sons. A beautifully cinematic film, it details the post war societies of Australia and Turkey in such detail it makes all the highs and lows of this film more poignant. There’s historical detail included that I was unaware of, like the ANZAC effort to identify and respectfully lay to rest all of the fallen Australian and New Zealand soldiers after the conflict had ended. Keep your eyes peeled for a very dishy and moustached Jai Courtney as the officer in charge of the recovery team. There’s so many worthy WWI themed films to investigate like Paths of Glory (1957) by Stanley Kubrick, absolute classic Lawrence of Arabia (1962) or even icon of the sub-genre All Quiet On the Western Front (1930); which incidentally has been recently rebooted and will release later this year featuring Vikings and soon to be Warcraft star, Travis Fimmel. Tom Hardy (Mad Max, The Revenant), Sam Neill (Hunt for the Wilder People) and Noah Taylor (Almost Famous), I’m currently hanging for Season 3 to drop on May 22nd. 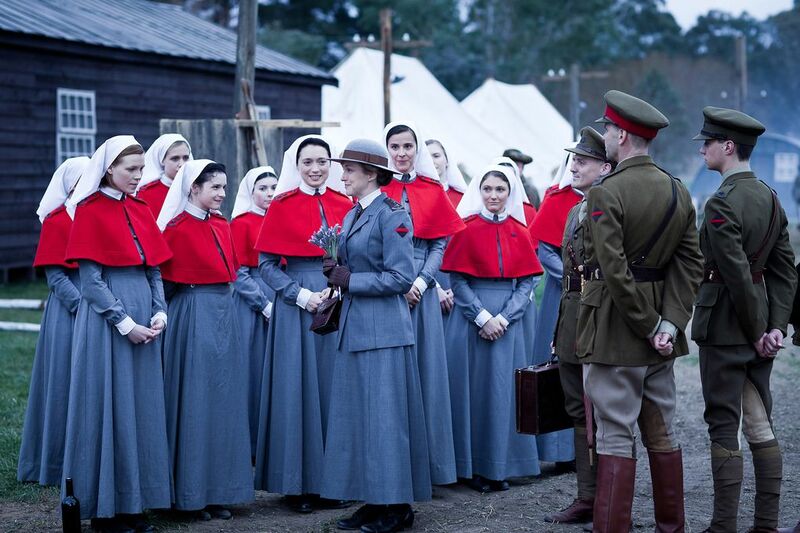 Do you have a favourite WWI themed film or TV Show you want to recommend?